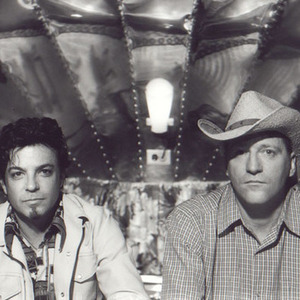 Cracker is an American alternative rock band fronted by Camper Van Beethoven singer David Lowery, with guitarist Johnny Hickman. They are best known for their hit songs "Low" and "Teen Angst (What the World Needs Now)". The band's website once noted Cracker as "The only band to ever open for both The Grateful Dead and The Ramones," a unique distinction which is also indicative of the band's sound and style. Cracker comfortably mixes influences and sounds ranging from classic country music, psychedelia, punk and folk into their brand of "americana" style rock. The band's website once noted Cracker as "The only band to ever open for both The Grateful Dead and The Ramones," a unique distinction which is also indicative of the band's sound and style. Cracker comfortably mixes influences and sounds ranging from classic country music, psychedelia, punk and folk into their brand of "americana" style rock. Lowery and Hickman are inalterable constants. The band continues to tour (as a full band, and also as the "Cracker acoustic duo").